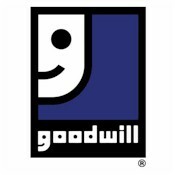 man - there's no way i can get ANYTHING at Goodwill; ours are so cruddy, there's not a chance of finding anything that's good. maybe i need to go shopping out there by you! :o) Goodwill Tour '07, here we come! Looks like you got out of there with a few good pieces. It is very strange how they organize their clothing. There is a really good Goodwill in South Carolina where we used to live. It got all sorts of stuff from Target - Jason got a Palm Pilot there for $30! Unfortunately, the sweater I got for Anna Marie had insanely long sleeves. My aunt thinks that they're just stretched out, and if I wash and dry it, they'll be fine. We shall see!